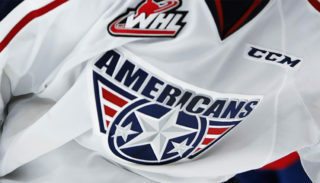 The Americans finished off their doubleheader weekend in Victoria tonight with a 2-1 shootout victory over the Royals. Coach Kelly Buchberger has emphasized good starts all season and tonight the Americans made that happen. Parker AuCoin capitalized on a power play to give Tri-City a lead at 10:23 first period. The goal came off a pass from Kyle Olson across the crease. 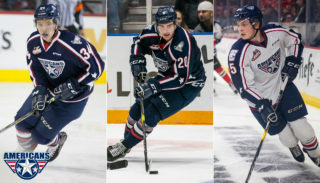 AuCoin leads the Americans with 26 goals this season. Later in the first period Phillip Shultz scored for Victoria to tie the game. Neither team was able to break the 1-1 tie during regulation taking the match into extra time. 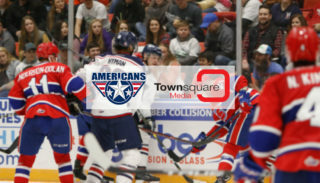 Dominic Schmiemann took an interference penalty 1:17 into overtime but the Americans were able to kill off the 4-on-3 disadvantage. 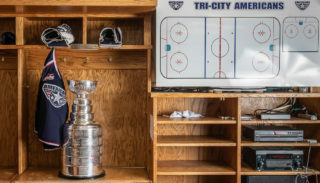 Tri-City’s penalty kill was once again perfect tonight. They are now 34/36 over the past seven games. For the eighth time this season the Americans headed to a shootout. Beck Warm was able to stop two of three shots faced and extended his perfect shootout record to seven for seven — the best in the WHL. The Americans are now 13-0-2-1 in overtime this season.